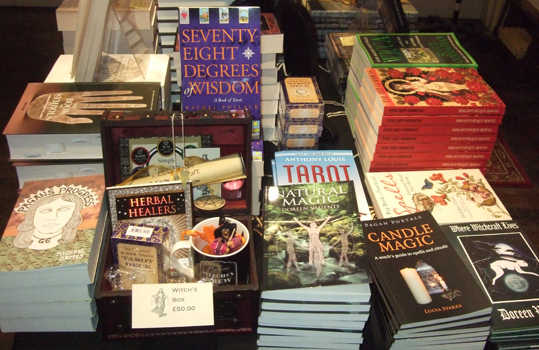 When I was in Treadwell's occult bookshop in London earlier this week I photographed the display of things that would really make wonderful gifts for anyone interested in witchcraft and magic. For that special Witch in your life we have the perfect gift, a box full of delights. We have selected what we think are all the things a Witch needs, perhaps most important of all is a great big mug for cups of tea while they contemplate the mysteries of the universe. 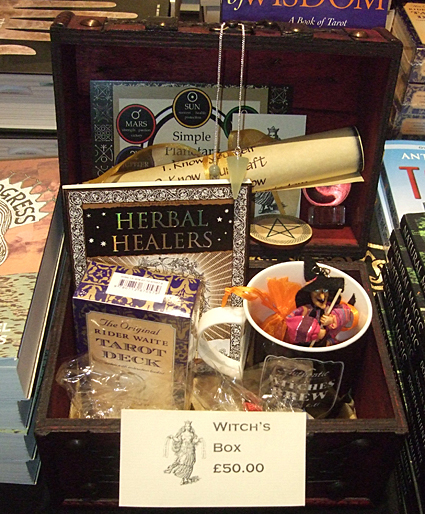 The Witch’s Gift Box includes: A pendulum, Rider Waite tarot deck, a small crystal ball, a hare pentacle, a witch doll, a bag of cone incense, a book on herbal healing, 4 quarter candles, a Witch’s scroll and Witch’s brew mug. All carefully packed in a beautiful box. Price: £50. Mind you, although that really appealed to me, I do already have everything it contains, so I'm not personally dropping hints. However, if anyone was wanting to spend a bit of money on me for Yule, I don't actually own either of the main items in Treadwell's Crowley Magick Box: The Book of the Law and the Thoth Tarot. Crowley Magick Box: A box to start you on your way with the mysteries of Magick. 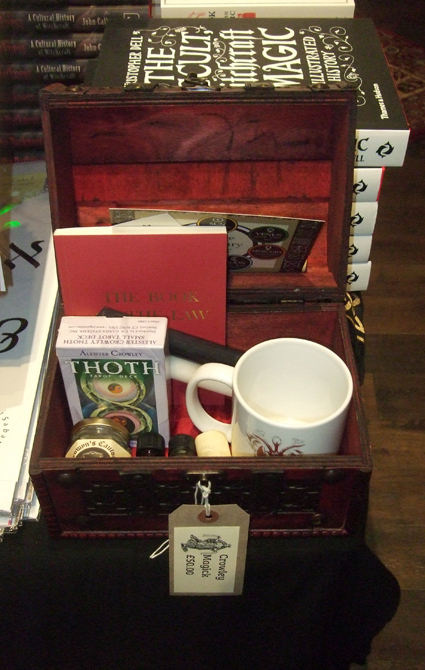 The essential Book of the Law, with black and while pillar candles, incense, oil, ink, the beautiful Thoth tarot deck, a Baphomet scroll and mug. All packed in a beautiful box, perfect to store your growing collection of magical tools. Price: £50. Treadwell's Bookshop is at 33 Store Street, London, WC1E 7BS. Tel: 020 7419 8507. Email: info@treadwells-london.com.